Dhaka, Jan 28 (Just News): Singer Papon, who is trying to bring back the glory of ghazals among young listeners, says if presented in a contemporary way, the youth is ready to enjoy the genre. Papon on Saturday performed some of his favourite ghazals for Royal Stag Barrel Select MTV Unplugged, where usually singers perform the unplugged version of their popular Bollywood songs. Asked about what made him do things differently, Papon told IANS: "I think if our youngsters can love Ed Sheeran, they can love our ghazals too. Also because, at the end of the day, it is all about telling a story musically. "These poetries are about various shades of love and we all can feel connected. All that we artists need to do is to present the song in a much contemporary manner. I am just trying my best to bring back the glory of the ghazals." 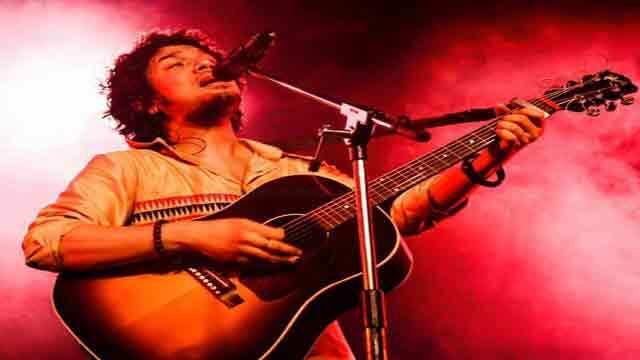 Papon said it was his idea to propose performing a set of ghazals instead of Bollywood numbers. "I want to bring a change and somewhere it should come from our end. Thankfully, they agreed and I have explored the opportunity," said the fanboy of the late veteran ghazal singer Jagjit Singh. Known for some of his superhit songs like "Moh moh ke dhaage", "Kyun", "Bulleya" and "Labon ka karobaar", Papon said he has always been inclined to sing ghazals. "From my childhood, I am very fond of ghazals. I remember when I was in college or at a friends' gathering, I used to sing ghazals while playing my guitar. So everyone used to say that someday I will be doing something on ghazal," said Papon. "Yes, I started differently, but all these years I was preparing myself for singing ghazal on public platforms. Now I think I am ready," said the singer. Last year, he performed at a ghazal concert in Pune. "Around 2,500 people attended that concert. It was sold out, where many of them were youngsters. Such a response made me believe that people are ready to listen if we are presenting any genre keeping their vibe in mind," said Papon. Who are the ghazal singers who inspired Papon? "Since in the episode, I am not only singing but also composed and produced the songs, I would say my influence of Jagjit saab is not only in my singing style but also in presentation. That apart, every time I listen to Mehdi Hassan saab. I am in awe of his effortless singing. I have also grown up listening to many other ghazal singers like Ghulam Ali and Farida Khanumji," he said.